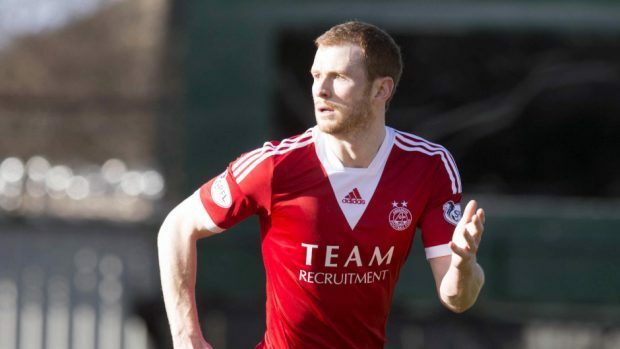 Aberdeen defender Mark Reynolds is in a race against time to be fit for next month’s Scottish Cup semi-final against Hibernian. The 29-year-old will have a hernia operation tomorrow and will be out for at least a month. The former Motherwell and Sheffield Wednesday player, who has made 31 appearances for the Dons this season, hopes to be back fit in time for Aberdeen’s match against Hibernian at Hampden on April 22. Reynolds believes the Dons can make amends for November’s 3-0 League Cup final defeat by Celtic by reaching the Scottish Cup final on May 27 and said: “I’m going in for the operation on Thursday. I will hopefully be back four to six weeks after that. I want to get back as soon as possible. “Every player wants to get to a cup final, win silverware and give a good account of themselves. Aberdeen manager Derek McInnes hopes the motivation of securing a start against Hibernian at Hampden will bring the best out of his players in the six remaining fixtures before the split, starting with Saturday’s home match against Motherwell. He said: “The Scottish Cup is important, I can’t dilute that. We’ve got to try to see the Scottish Cup as important as it can be, but the league is important for us as well. “Hopefully we get to where we want in the league as well as the cup. “I do think they can work off each other. If we’re strong in the league it helps us in the cup games. If we’re having a cup run it can help focus on the league as well. “Hopefully we will go into the semi-final on good form as it is a fantastic opportunity for us. As much as we respect Hibernian, we hope we will be good enough to make it into the final. “We are trying to be as strong as we can on all fronts and we want to get back to winning ways in the league after last week’s loss at Hamilton. “We want to consolidate and push on with our league form and see where we go and the fact we are at home again is something to look forward to.